From battling pirates to tracking down gun runners, drug smugglers and terrorists; the high energy exploits and explosive adventures of the Australian Navy in the Arabian Gulf. 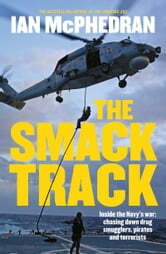 From Ian McPhedran, best-selling author of The Amazing SAS, Soldiers Without Borders and Too Bold to Die, comes the untold and largely unknown story of how the Royal Australian Navy battles pirates, gun runners and drug smugglers in the seas of the Arabian Gulf and the Horn of Africa along the infamous route known as the 'smack track'. For more than twenty years, Australian sailors have been risking their lives, conducting often fraught and dangerous operations in war and in the battle against terrorism. 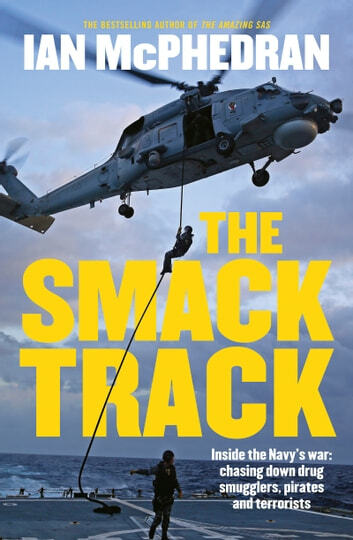 From braving rough seas to boarding rickety dhows or clambering up the sheer steel sides of modern day supertankers looking for contraband, The Smack Track tells a thrilling, eye-witness story of grit, courage, ingenuity and sacrifice. Easy to read about the individual sailors involved in Royal Australian Navy operations against drug smuggling in the Arabian Gulf. Puts the reader onboard the ship and in the board and search teams.